Mercedes W190 SL years (1955-1963) bumper stainless steel One set bumper includes : 1 front bumper in 3 parts, 2 overriders and 2 embellishers. 1 rear bumper in 3 parts, 2 overriders, 2 joining strips and mounting kit. Fiat 124 Spider ( 1966 – 1975 ) bumper stainless steel One set include : 1 front bumper and 1 rear bumper ( 2 parts), mounting kit Bumper are made of one the best solid stainless steel SAE 304 which never gets rusty, 1.5-2mm thickness and Surface is polished bright mirror, inside is painted 3 layers. With years of experience in windscreen repair and replacement industry, Cheap Windscreens Melbourne provide the quality Windscreen Replacement Service in Melbourne at affordable price. We only use the highest quality glass and which can be safely used in your car, truck, tractor or bus. We so provide windscreen repair, car window replacement and mobile Windscreen Replacement service. 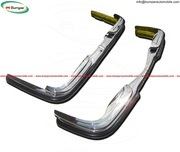 Renault Caravelle year (1958-1968) bumpers stainless steel One set include: 1 front bumper in 3 parts and 2 joining strips 1 rear bumper in 3 parts and 2 joining strips Mounting kit Bumper are made of one the best solid stainless steel SAE 304 which never gets rusty, 1. Datsun Roadster Fairlady (1962-1970) bumper stainless steel 1 set includer: 1 front bumper, 1 rear bumper and 4 overriders. Mounting kit Bumper are made of one the best solid stainless steel SAE 304 which never gets rusty, 1.5-2mm thickness and Surface is polished bright mirror, Inside is painted 3 layers. Are you looking to buy or sell used car anywhere in Australia? Then here is ADSCT for your help that has many used second-hand car listed. 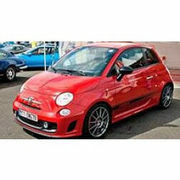 Here you can look at the details of the car of your choice and then contact the seller. If you want to sell your old car then you can post a classified ad for it and then it will be showcased to the people all over Australia so that you get the best potential customer for your car. We are one of the leading used car buyers in Brisbane, offering instant cash for your Scrap Cars!! Call 07 3172 2366 now..
Gerhard has been in the automobile business for over 20 years, and has established a loyal client base by offering some of the best services in the business. His philosophy is to turn clients into return customers by focusing on great customer service. As an experienced dealer, he has something to offer every customer. Volvo PV 544 Euro year (1958-1965) bumpers stainless steel One set includes : 1 front bumper in 3 parts, 2 overriders 1 rear bumper in 3 parts, 2 overriders and mounting Kit	Bumper are made of one the best solid stainless steel SAE 304 which never gets rusty, 1.5-2mm thickness and Surface is polished bright mirror, Inside is painted 3 layers. Volvo P1800 Jensen cowhorn year (1961–1963) bumpers stainless steel One set include: 1 front bumper in 2 parts, 1 nose trim pieces. 1 rear bmuper in 2 part. 1 nose trim pieces Mounting Kit Bumper are made of one the best solid stainless steel SAE 304 which never gets rusty, 1. Volvo Amazon USA style (1956-1970) bumper stainless steel One set includes : 1 front bumper in 3 parts, 2 overriders , 1 towel rails 1 rear bumper in 3 parts, 2 overriders , 1 towel Mounting Kit. Bumper are made of one the best solid stainless steel SAE 304 which never gets rusty, 1. Volkswagen Karmann Ghia Type 34 (1962-1969) bumper stainless steel One set includes: 1 front bumper in 3 parts, 2 overrider 1 rear bumper in 3 parts, 2 overriders mounting kit. Bumper are made of one the best solid stainless steel SAE 304 which never gets rusty, 1. Mercedes W186 300, 300b and 300c year (1951-1957) bumper stainless steel One set include: 1 front bumper in 3 parts and 2 over riders 1 rear bumper with 2 over riders Mounting kit Bumper are made of one the best solid stainless steel SAE 304 which never gets rusty, 1. At Pro Car Removal, we offer a hassle-free method to get your Old Car Removed for free. Call 0420 474 829 for more details..
Our bumpers are made of stainless steel, grade 304, 1.5-2mm thickness and polished. Using our products, you needn't care about its quality. The bumpers never get rusty, so you can use it for a long time. Would you like to make your car more luxury and beautiful? Why don’t you contact me to get the. Vehicles Australia ads Australia, Vehicles classifieds Australia, Vehicles free ads Australia, ads for sale Australia, ads to buy Australia, FREEADSAustralia Page number 10-1. Find here ads for sale, to buy and rent in Australia. Goods for sale in Australia, vehicles for sale in Australia, Australia real estate for sale, Australia property for sale, property for rent in Australia, business ads in Australia, Australia business classifieds, services in Australia, Australia services ads, jobs in Australia, pets for sale in Australia, Australia dating, Australia cars for sale.